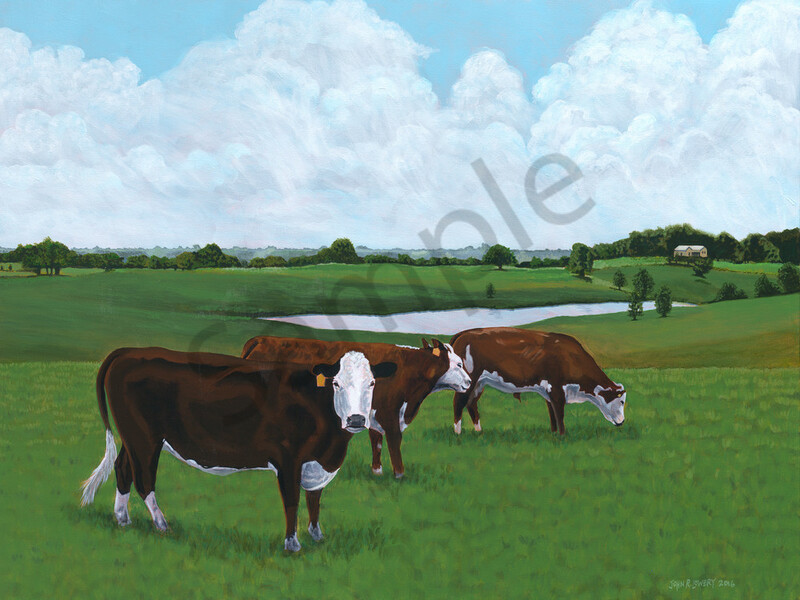 Original painting of three grazing cows in Texas landscape available as art prints. The hilly countryside between Burton and Round Top, Texas continues to amaze me. Driving along, I often wonder - who owns that place? What's the view like from their porch? These three ladies get to enjoy the scenery just like we do. Although, I'm sure they are more interested in the grass. This original painting is no longer available.